In the 1980s, a Russian immigrant passed along some Anna Russian seeds he had received from his family back in the “Mother Country” to Kenneth Wilcox. In turn, Kenneth gave a few to his granddaughter, Brenda Hillenius of Corvallis, Oregon, who grew the tomatoes for several years. 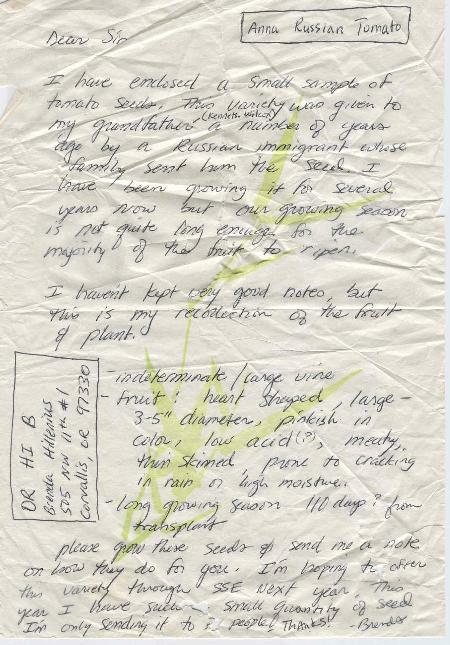 “(As I realized) what treasures these (Anna Russian tomatoes) and hundreds of other varieties were,” said Craig, “the urgency to grow them, see them, taste them and share the seeds with others drove me deeper and deeper into this hobby.” Craig introduced the seeds to the Seed Savers Exchange Yearbook in 1989. 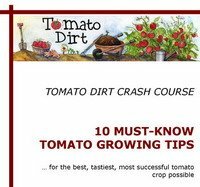 Since then, Anna Russian has become increasingly well-known and popular among tomato growers as a reliable oxheart tomato with outstanding flavor and resiliency. Today it is offered by several vendors. The plant’s minimal foliage and wispy vines are typical of oxheart-type tomatoes, so as you grow it do not be put off by its delicate greenery. The fruit appears in clusters of 2-3 and ripens to a pink-red hue. But most notable about the Anna Russian are its rich flavor, juiciness, and the fact that it matures early. Fruit has very few seeds. The plant is also considered to be fairly resilient, able to withstand (and produce) in extreme temperatures both hot and cold. 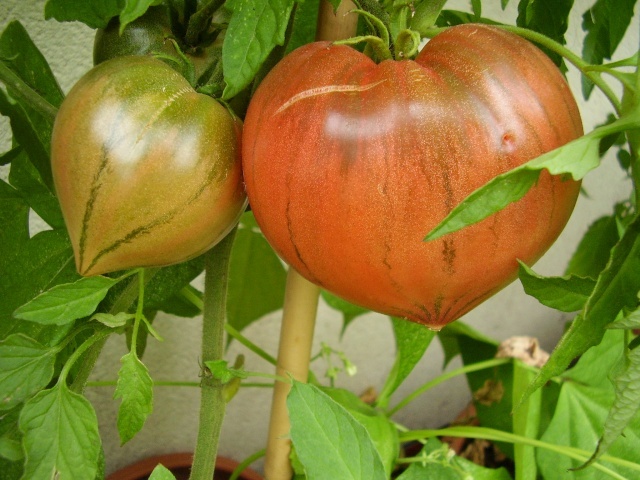 Oxheart tomatoes are a group of large, old-fashioned heirloom tomato varieties that share select, common characteristics: heart- or strawberry-shaped fruit that’s solid and meaty; a smaller number of seeds; wispy, fern-like foliage; and a sprawling, continuously productive indeterminate habit. Other notes: Anna Russian’s thin skin may make it prone to cracking during heavy rains.